UNIVERSIDAD ICESI, is a private university that was founded in 1979 by local business leaders, who have since then contributed signi?cantly to the university’s initiatives by providing ?nancial, institutional, and networking support. Since its foundation, the University has been systematic in pursuing its mission: The pursuit of learning and knowledge, as well as action taking for the creation of a better society. For this purpose, it has developed innovative academic programs and has encouraged students to search for knowledge through the “Active Learning” method, in order to produce well-prepared professionals. ICESI’s alumni have the necessary knowledge and competencies to stand out professionally in their disciplines. ICESI is recognized as one of the most important and renowned universities in Colombia thanks to its rigorous academic standards and wide and diverse range of undergraduate and postgraduate programs. Over the past years, the University has generated new academic possibilities for its students, including a wide variety of majors, and has opened its doors to universities around the world through the development of partnerships and student exchange programs. 6 colleges, 23 undergraduate programs, 21 master’s degrees, 14 medical-surgical specialties, and 10 postgraduate programs. 6,091 students enrolled: 5,201 in undergraduate programs and 890 in postgraduate programs. have PhDs or are pursuing doctoral degrees. The 42% of the student population has scholarships. 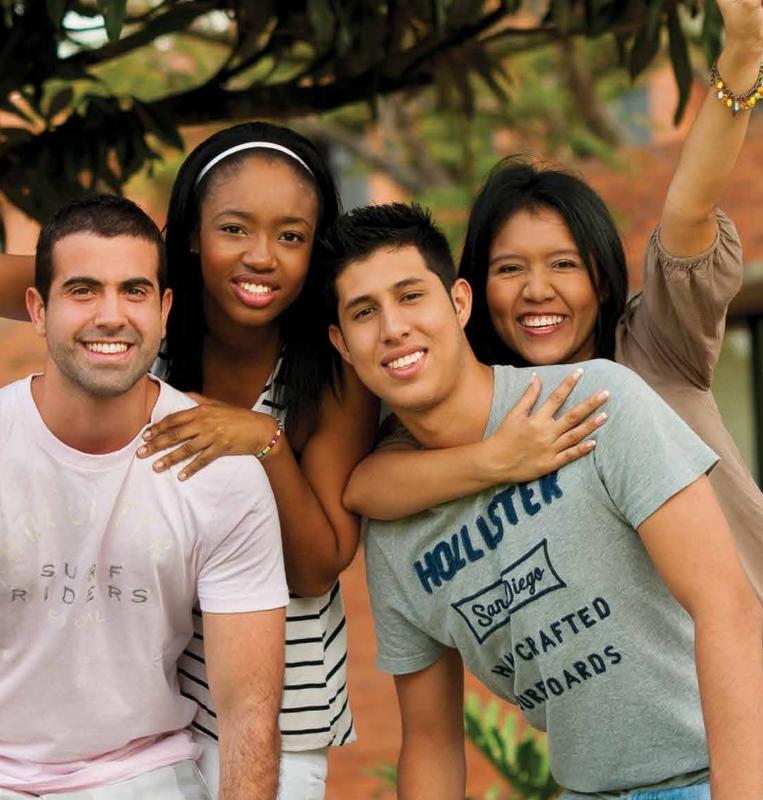 By the next years, UNIVERSIDAD ICESI aims to be recognized by the Colombian society, national organizations, and international academic peers for the excellent education of its alumni, the increasing visibility of its research programs, and the positive impact of its interaction with the region and society as well. The campus is located in the southern region of Cali. It covers an area of 124.701 square meters, and is equipped with facilities for sports and recreational activities. 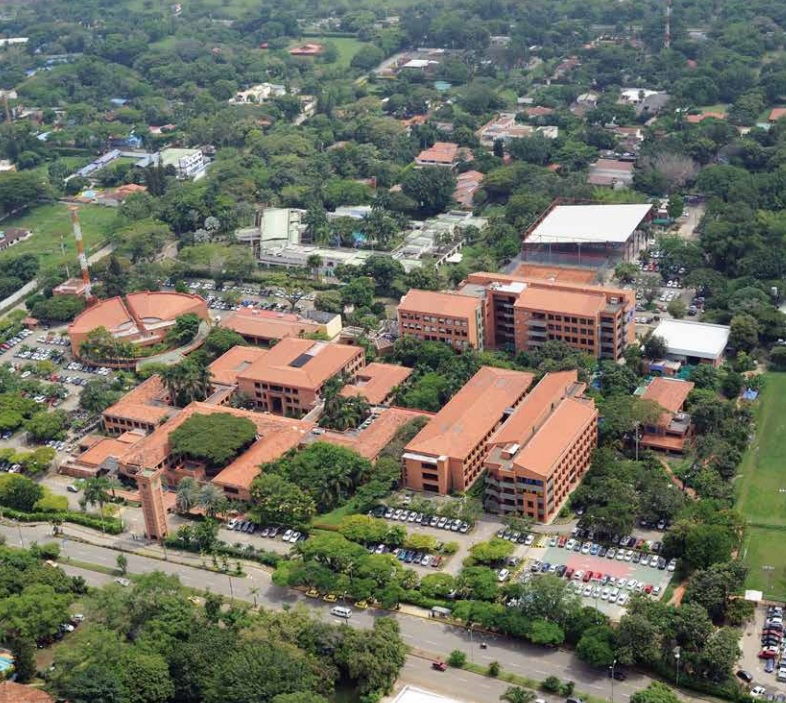 The University is composed of 13 buildings that host classrooms, auditoriums, laboratories, libraries, ITC rooms, of?ces and cafeterias, among others. • Commitment to the welfare of society. Political Science with an emphasis οn International Relations. Informatics, Telecommunications, and Industrial Engineering. Teaching of English as a Foreign Language. Foreign Trade Consultation Ofﬁce - Icecomex: Provides pro-bono advice to local SMEs in relation to trade processes. Research Center in Economics and Finance - CIENFI: In charge of research projects with external funding and consulting activities for NGOs, private companies, or the government. Public Policy Observatory - Polis: Created as an academic unit of the University. Polis is an academic center where the faculty, policy makers, mass media, and citizens come together to discuss and evaluate public actions and policies. Center for Corporate Governance Studies - CIGO: Develops research projects for the identiﬁcation of existing problems in Colombia that are associated with the lack of a culture that respects the rights of stockholders. The center also aims to propose solutions to improve transparency and fair treatment towards all employees. Accounting and Finance Consulting - CENSEA: Helps small businesses with accounting and ﬁnancial issues. Globalization Observatory: Discusses issues concerning globalization. Intervention and Social Responsibility Observatory - OIR: Dedicated to informing, analyzing, and reporting on the status of Contemporary Social Intervention in the city of Cali. Legal, Social, and Human Interdisciplinary Studies - CIES: Ιnterdisciplinary research work on legal and social subjects that contributes to solving issues at a national and regional level. Icesi´s Group of Public Actions - GAPI: Makes visible the problems of violation of collective rights and the social, economic, and cultural rights of the citizens of Cali and promotes viable and relevant solutions using legal resources. Legal Consulting and Mediation Center: Serves as practice for law students as they provide free legal assistance to the community, mainly low-income persons. Transnational Processes: An academic space dedicated to the study from the Colombian perspective of different transnational dynamics that occur nowadays in the world. Ethnographic Laboratory: Provides a space for training in the ﬁeld of ethnography and anthropology. Research Center for Congenital Anomalies and Rare Diseases - CIACER: Conducts research on rare diseases and congenital anomalies in the south-western region of Colombia. Emergency Training Center and Medical Emergencies: Effective CPR training in order to reduce mortality and neurological effects associated with cardiac arrest. Research Center for Social and Health Economics - PROESA: An independent non-proﬁt corporation created for conducting research, disseminating knowledge, and providing impartial and objective guidance for the design of social protection and health economics policies. Learning and Teaching Resources Center - CREA: Supports the efforts of academic departments to deliver instructions and guidance so as to deﬁne appropriate sets of activities. Writing Center: Development of students’ skills through the analysis, synthesis, problem solving and critical thinking. Entrepreneurship Development Center - CDEE: Provides free advice to new entrepreneurs. Alaya´s Center: Contributes to improving the productivity and competitiveness of small businesses in their areas of inﬂuence through specialized training programs. Cultural Industries Center: A multidisciplinary center for studying the cultural industry in Cali, formulating public policies and providing continuous education to the sector. Professional Development Center - CEDEP: Guides students in choosing and pursuing their career paths. The CEDEP is a bridge between the needs of organizations and alumni. Consulting and Continuing Education: Offers training and consulting to the corporate sector in which professionals from different sectors can develop multiple skills. Learning and Teaching Resources Center.